First off, I love, loved, loved the premise. 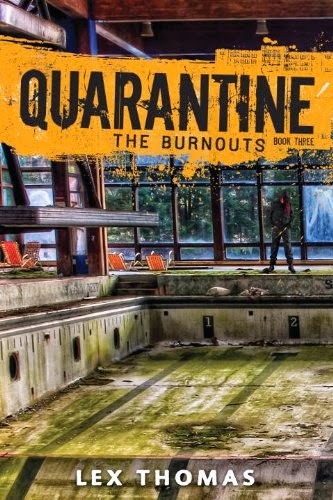 A spelunking trip gone wrong might not be the most original idea but when paired with an apocalyptic event and six college students unprepared for this particular scenario (or really danger in general) made this one a compelling and at times thought provoking read. Secondly, I liked how the story showed us dual perspectives. It's great that we stay locked into the group below ground but with Nuclear Bombs going off above, it was nice to see bits and pieces of that devastation as well. Lastly, I really enjoyed how descriptive everything was. I really felt like I was in that cave alongside the characters touching the rocks, smelling the stale air and being terrified of the unknown. It was great to feel genuinely scared for a characters safety. That's good writing to me. Now although I really liked the story I did have one small issue and that was the romance. I understand why the Author felt it necessary to inject the story with some loving but I really dislike that it had to be a love triangle scenario. I just didn't feel it necessary for Kate to struggle over her feelings and her indecisiveness made for many of her most annoying moments. Overall, I really enjoyed The Cave and look forward to reading The Aftermath when it releases in August. I highly suggest picking this one up if you want to read something realistic and terrifying at the same time. 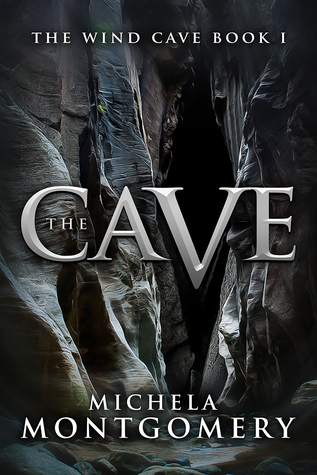 With that being said, I'll be rating The Cave by Michela Montgomery ★★★★. Recommended For Fans Of: The Descent, Pandemonium , and The City Of Ember.